So wrote Brother John Bell in The Shield, December 1927, page 230, when referring to challenges then being mounted to apostolic teaching in relation to the role of female believers in the mainstream churches. Pressure to overturn the clear teaching of Scripture on this subject continued to grow as the twentieth century progressed and today we have a situation in which many Protestant churches have abandoned all gender distinctions in relation to service and religious activity. Brother Bell noted that those advocating radical change would not be deterred if they “do not accept and practice Biblical teaching”. Thus it is that in many of the mainstream denominations pro-feminist theologians routinely reject the divine inspiration (or at least seek to minimise the relevance) of those passages of Scripture which teach that sisters are not to take a leadership role in worship or teaching the congregation. Christadelphians, of course, do not have the luxury of adopting such a position because our community is committed to the inerrancy of the Bible. This has not, however, stopped some on the fringes of our community from becoming attracted to radical interpretations which seek to overturn clear apostolic teaching about gender and teaching in the ecclesia and replace it with a model in which all avenues of service are available to all believers regardless of gender. In doing so, they have created considerable disquiet for many ecclesias and individual brothers and sisters. In recent years a range of publications have been published in the ecclesial world which address the question of gender and service. 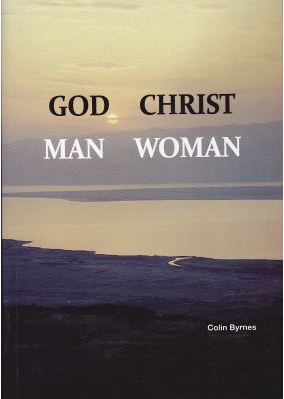 The most recent of these is God Christ Man Woman by Brother Colin Byrnes. Brother Colin demonstrates in this book that a broadly consistent model of ecclesial administration is evident throughout the Bible – both Old and New Testaments. Divinely ordained roles and levels of responsibility have been established and saints in all ages are required to serve and rejoice within that model. One of the most tragic aspects of the debate about gender and ecclesial service is the sophistry which is employed when seeking to reinterpret apostolic teaching so that it can accommodate the new theories. Some of the proponents of the radical views have even gone so far as to declare that it is impossible to arrive at definitive interpretations of passages such as 1 Corinthians 14 and 1 Timothy 2. You might have thought that people who conclude that certain passages are beyond definitive interpretation would avoid agitation based on such passages, but that is not the case in this instance. On the contrary, rather than concluding that this means that they should not advocate for a radical new approach to these passages and consequent changes to ecclesial administration, they argue that, as (allegedly) it is not possible to arrive at a definitive position, all positions must be tolerated. That position might be reasonable if the question at stake were an arcane element of Bible exegesis such as the fate of Enoch or Jepthah’s daughter. But the fact that Paul addressed this subject directly on two occasions proves that this is not a peripheral issue. It is in fact very important to the well-being of the ecclesia, and in this context Brother Colin’s remarks on pages 320 to 322 on fellowship in relation to this issue are worthy of close attention. That the promoters of these new theories also regard these ideas as extremely important to our walk in Christ may be seen by many of the comments they make about these matters in public forums and the fact that in several cases they have chosen to leave the meetings of which they were members and establish new congregations where they can apply the model that they prefer. Can we believe that God would allow such uncertainty to disrupt the harmony of the ecclesia in such a fundamental area? Of course not! That is why the issue is addressed in several places in the Bible. Holy men inspired by God recorded God’s Word for the benefit of ordinary men and women, not just academics or theologians. True, there are layers of meaning and hidden gems throughout the Bible that reward diligent students, but the gospel’s broad meaning is accessible to ordinary readers – often with a clarity which eludes more critical readers. Early in his book, Brother Colin has a chapter on guidelines for effective Bible study. That chapter is worthy of consideration in its own right because it provides a framework that has broad application. Having established these principles he applies them to this theme and compares the logical teaching of Scripture with the curiously wrested interpretations that have been promoted. Almost all the passages that have been used in this debate within our community are discussed by Brother Colin. Along with detailed analysis of the key passages such as Galatians 3:26–29, 1 Corinthians 11 and 14 and 1 Timothy 2 there are useful observations about characters such as Esther and Mordecai and Ruth and Boaz. When studying the Bible we should always be wary of interpretations that impose a meaning which is not consistent with the meaning that would be drawn by a reader without special training or instruction. That applies to verses about the roles of brothers and sisters in Christ as much as to any other subject. Brother Colin’s scholarly and methodical analysis of passages that relate to this theme will assist readers who may be struggling to understand these verses within the framework of the Bible’s overall teaching. In God Christ Man Woman the reader will find a comprehensive overview of Bible teaching on the roles of brothers and sisters in the ecclesia. In a brief final chapter Brother Colin provides a concise summary of that teaching. Before doing so, however, the book’s penultimate chapter (intriguingly entitled “If”) systematically reviews Old Testament teaching on the subject from Genesis to Malachi and then considers what might have been had the New Testament presented a different view. By this means Brother Colin very powerfully demonstrates the logical consistency of biblical teaching. We rejoice that the Bible teaches there is no distinction between women and men in terms of value, spirituality, salvation or destiny. We cannot, however, ignore the fact that Christ and his apostles established clear functional differences when it comes to teaching and leadership of the assembled ecclesia. The New Testament says sisters should not exercise formal teaching or leadership roles in ecclesial meetings but, these two restrictions aside, it makes it clear that they should make full use of their teaching and their many other skills in strengthening the ecclesial community, spreading the gospel, instructing their fellow sisters, and nurturing and educating children. All ecclesial members must take advantage of the abundant opportunities God provides to use their gifts in accordance with the divine will and with the objective of glorifying Almighty God. This book will assist faithful readers to that end and it is recommended heartily to all. This article was written by Geoff Henstock. Published in Vol. 18, No. 1 of The Lampstand, printed January - February, 2012, and uploaded online April 15, 2016 .